This concoction didn’t get its name until 1762 when the 4th Earl of Sandwich, John Montagu, a British statesman, got hungry during a marathon poker game. The most popular sandwich is a ham sandwich. The most expensive sandwich ever sold was a grilled toast sandwich that seemed to have an image of the Virgin Mary on it. It sold for $28,000 in 2004. The average American will have consumed 1,500 PB&Js by the time they graduate high school. 1633 Bernardino Ramazzini was born. An Italian physician, he was the first to note the relationship between worker’s illnesses and their work environment. Considered the founder of occupational medicine. 1718 John Montague, 4th Earl of Sandwich was born. (Some sources list November 13). Captain Cook named the Sandwich Islands after him (now known as Hawaii). The Earl is supposed to have invented the sandwich as a quick meal so as not to interrupt his gambling sessions. 1832 Sir John Leslie died. A Scottish physicist and mathematician, he was the first to create ice artificially (freeze water artificially). He used an air pump apparatus. 1841 Johannes Eugenius Bulow Warming was born. A Danish botanist, he was one of the founders of the science of plant ecology. 1863 J.T. Alden was issued a patent for an improved method of manufacturing dried yeast. 1893 Edward A. Doisy was born. He discovered vitamin K.
1895 The town of Walcott, Minnesota is destroyed by a fire that begins in a flour mill. 1952 Frozen peas are added to the list of frozen vegetables produced by Birdseye. 1966 Ingredients are required to be listed on food packages. The first truth in packaging law. 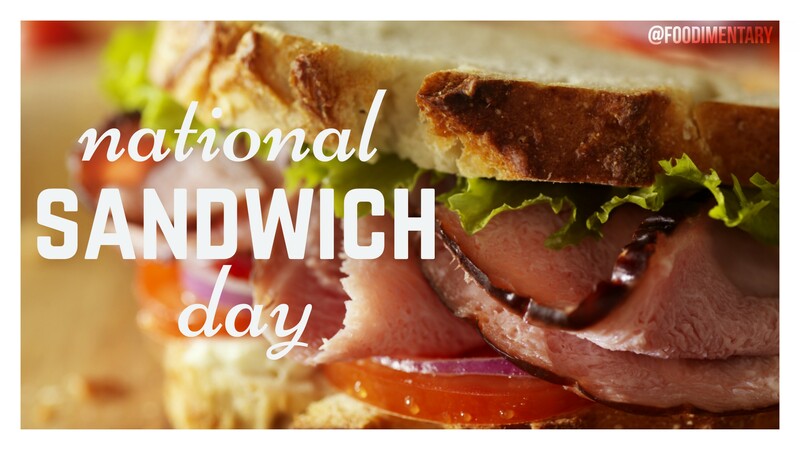 November 3rd is National Sandwich Day!